As a hiring manager, your goal is to find the best person for the job – someone who has the right skills and a personality that aligns with your culture. Illuminating interviews are crucial to making the right decision. Job interviews give you only a small window of time to interact with candidates you don’t know to learn as much as you can about them. You need to get the most out of the time you have. That’s why the best interviews start long before your first candidate walks through the door. To get the most out of the interview process, smart hiring managers take time to prepare. Crystallize your objectives. Review the job description and pull out the key requirements of the position you’re filling. What specific skills does the person you hire need to have? How much experience do they require? What soft skills are important given the job? Distill the job description into a simple bulleted list to focus your attention on those specific objectives as you move forward with the interview process. Create a strong interview guide. Start by outlining a schedule, allowing time for making the candidate comfortable, explaining the hiring process, conducting the actual interview, and answering questions. Then create a list of questions targeted to help you assess how each candidate meets your hiring objectives. Include straightforward questions about skills and experience as well as behavioral questions about how the candidate has dealt with situations in the past and how they might address others in the future. Keep the questions short, simple, and open-ended (i.e., not able to be answered by a simple “yes” or “no”). Remember your goal is to elicit information from the interviewee to learn as much as you can about them in a short period of time. Build an interview team. 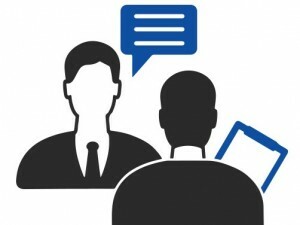 Consider having one or two additional people involved in the interviews. They will see and hear things differently than you and offer additional perspectives. Get your team up-to-speed before the interview by sharing your objectives and the interview guide. Encourage them to actively participate in the interview by asking follow-up questions. Plan to schedule time after the interview for a thorough debrief. Know as much as you can about a candidate before you meet. Review his or her resume in detail, and adjust your interview guide if the resume inspires new questions. Look the candidate up on LinkedIn, Facebook, and Twitter to gain additional insight. The goal is not to make judgments before you meet but to arm yourself with a better understanding of who this person is and what makes them tick. Hiring takes an investment of time and attention, and you want to maximize the value you get from each interview. As the saying goes: “Failing to plan is planning to fail.” A little up-front preparation can significantly improve the odds you will hire the best candidate. For more information or to request assistance in your hiring process, contact Financial Staffing Resources at 972-663-0355.